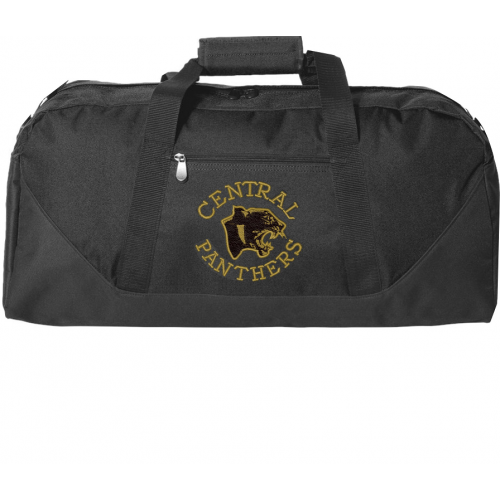 These duffle bags are perfect for the items you need for a quick outing or an overnight trip! 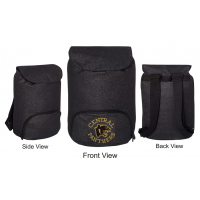 600-denier polyester, with a detachable and adjustable shoulder strap, and both top and side grip handles. Front zippered pocket. 22" x 10" x 11". Can be personalized with an embroidered name for a small extra charge if desired. Comes in black with school logo on side.